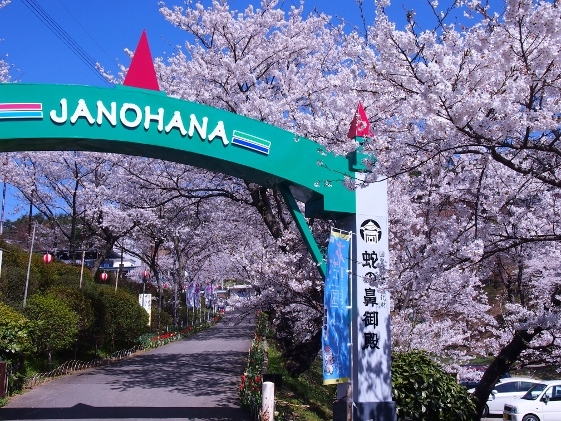 Today, I left Dake Onsen and via Motomiya City revisited Miharu Town. 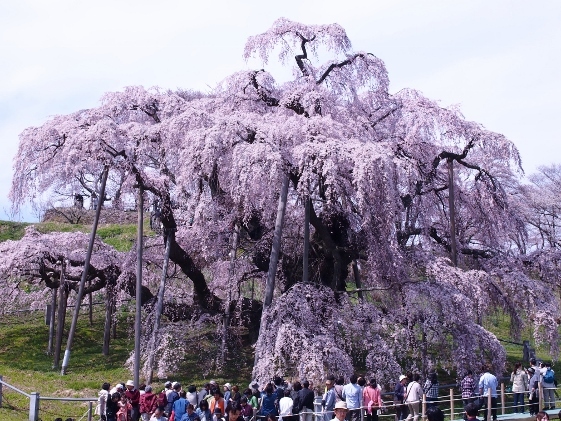 At Janohana Park in Motomiya City Yoshino cherry trees were in full bloom as shown in the pictures above. 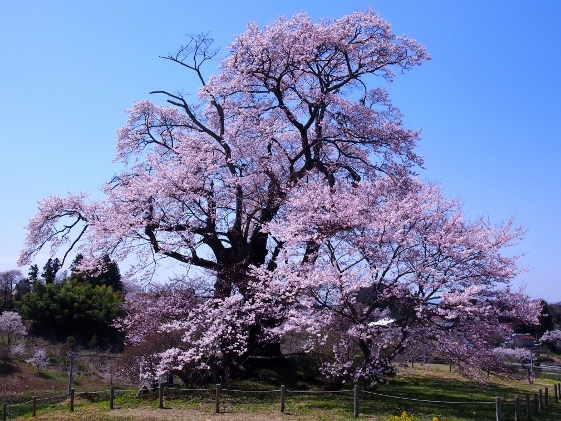 At Shionozaki area of Motomiya City a giant Edohigan cherry tree was also in full bloom as shown in the picture above. 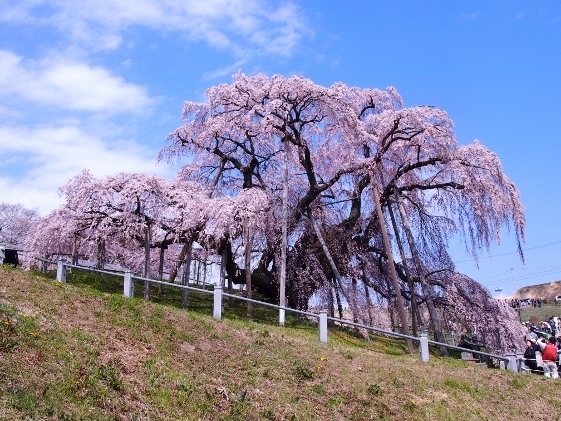 At Miharu Town, most of the cherry trees in the town were in full bloom. 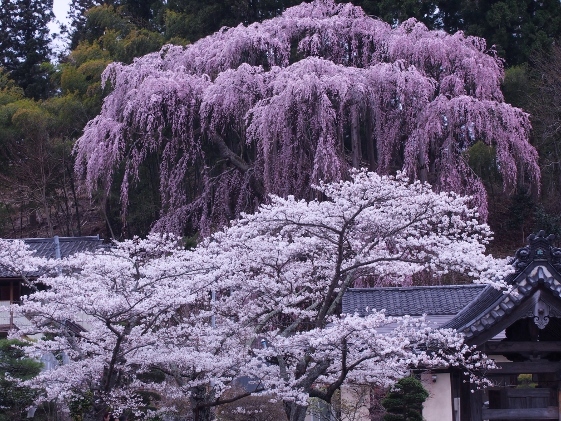 At first, pictures are shown above of the Miharu Takizakura in full bloom. Although it was weekday today, trafic jam was 5km long from all over the country. Also, there was very long waiting line at bus terminal. 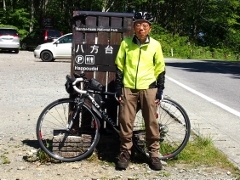 It was very lucky that my bike had nothing to do with both of them. 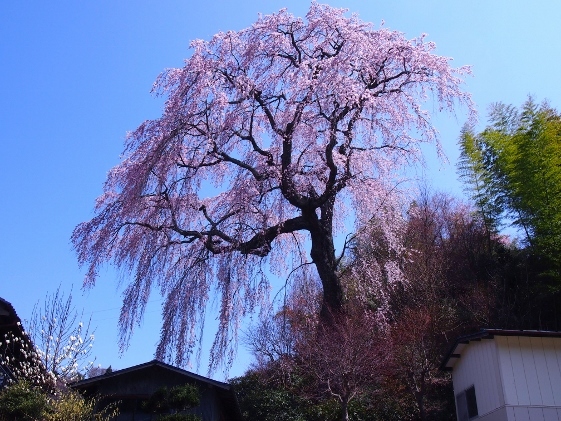 Next, the weeping cherry tree at Fukujuji Temple today are shown in the pictures above. 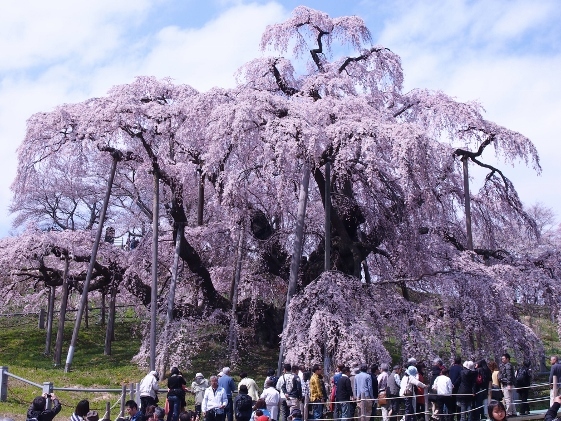 It had much strong presence compared to that of April 12. 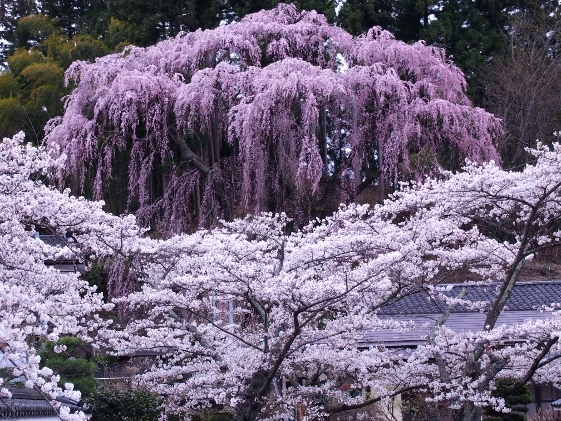 The picture shown above is weeping cherry tree at Jorakuji Temple. 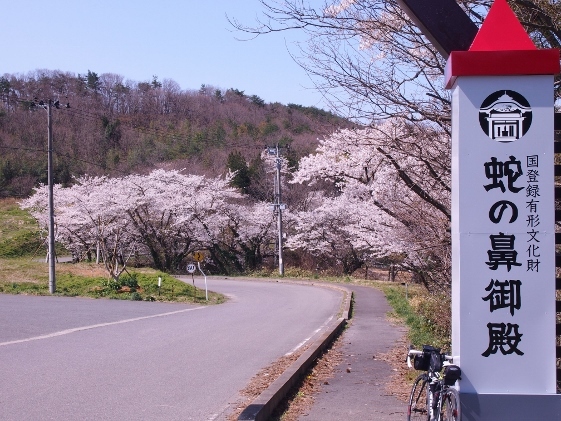 Tonight I stayed at Nuruyu Inn shown in the picture above and which was located in the center area of Miharu Town. 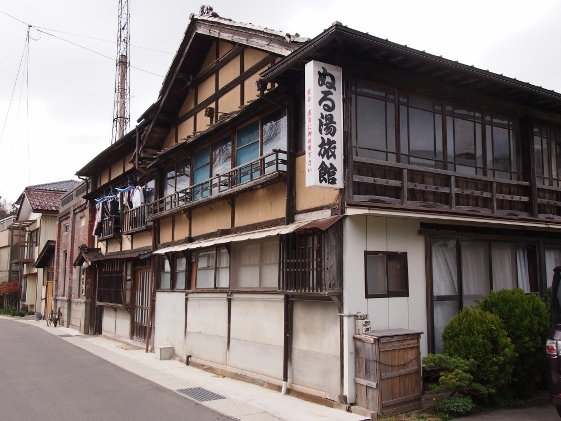 This was an old inn which also had public bath.